Ladies and gentlemen, meet the new face of vehicular crime fighting (and apparently Superman fighting) in Gotham City. 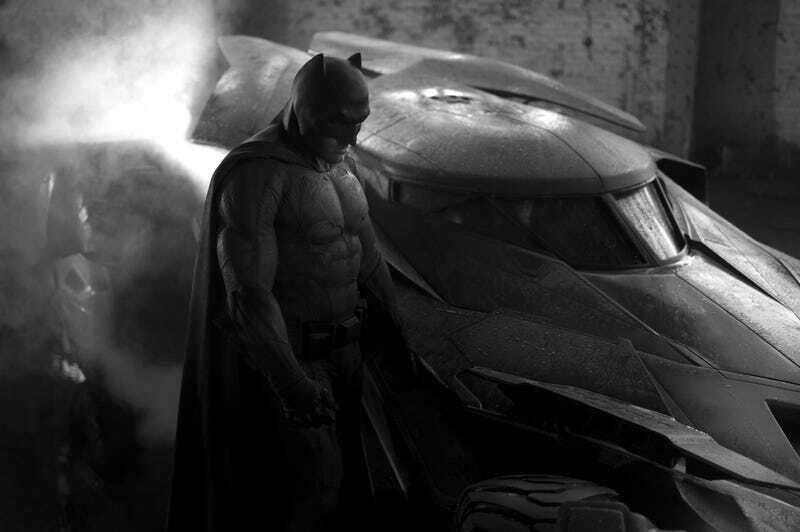 This is the Batmobile that will make its debut in Zack Snyder's Batman Vs. Superman, the sequel to Man of Steel due out in 2016. And here's the teaser from yesterday if you want to compare the two. Hopefully we'll see more soon. What do we think so far? Update: This photo has been floating around Twitter all morning and it claims to be a sculpture of the front of the new car. After seeing Snyder's picture, I think this might be it.